second quarter of the Yellow Jackets sectional playoff game against Daytona Beach Seabreeze. 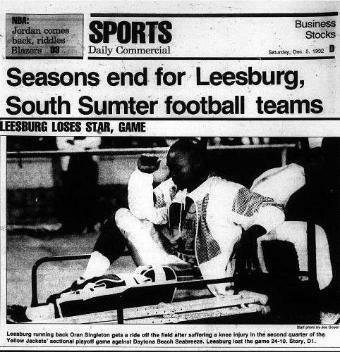 Leesburg lost the game 24-10. Staff photo by Joe Gosen, Daily Commercial, December 5, 1992.